Holly, a professor at a small college, has had a long history of finding the wrong guy. She’s accomplished quite a bit in her life, but after her younger sister announces she is pregnant, Holly decides she is going to make an effort to meet Mr. Right. Meanwhile, David, another professor, is a single father, very smart and kind, but not the type that Holly takes notice of when the two are assigned to plan the Christmas Formal. 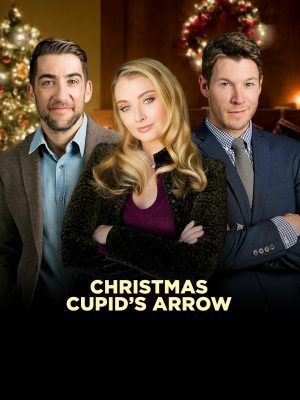 At the insistence of her best friend, Holly signs up for the dating website “Cupid’s Arrow,” where she meets Josh, an attorney just hired by the school. He’s everything she wants on the surface, but has little to say beyond his work and good looks. Josh and David were roommates in college, so Josh recruits David to write poetic messages in an attempt to win Holly over. Eventually, Holly notices that Josh’s spoken words don’t match the glowing, beautifully written texts and emails she’s grown to adore. After confronting Josh, she begins to realize that the man she fell in love with may just be the one who wrote those words to her.